Well, we’re sure these you must be aware of what we’re talking about here. These days technology has been a part of everyone’s everyday lives. And we’ve become accustomed with this technology to such an extent, that we cannot imagine a day without it. The modern technology is pertinently advancing and comforting our lifestyle, business methods, and our routine interactions. One such outcome of avant-garde technology is – CHATBOT. Better explained as, a chat robot that simulates the conversation with the humans. Keeping pace with the advancing technology and the need of such technology in the hospitality industry, we’re about to include this masterpiece in our zenith dominion of products. Certainly, hospitality is the industry that relies highly on customer engagement. Delivering an exceptional guest experience is what the entire hospitality works for. So to lend you a hand in achieving this aim, we’re introducing chatbots in our booking engine and hotel PMS mobile app. Generally, your website visitors have queries about the size and type of the room you offer, or the charges on additional pax, about the services you provide, about the deals and promotions you’re running and a lot more. Now, presently they might be dropping you an email or calling you at your hotel to get their queries resolved. And that’s because they want instant replies to their questions. They want to make fast and right decisions about their hotel booking. On the other hand, while your staff is already occupied with important tasks, it becomes very arduous for them to respond to these questions on time (and of course, with required patience). In such scenarios and many more, a chatbot in eZee Reservation booking engine can be of a great help. A chatbot can give instant replies to the guest’s queries and complaints without any human intervention. Thus your front desk receives comparatively less number of phone calls, and they can focus more on imparting good experience. It is available 24*7. Hence your guests will get a timely response. A chatbot can convince more guests to book direct. It stays connected with the guests and thus enhances your guest engagement. It can upsell your hotel’s other amenities too. Want a chatbot for your hotel? While soothing your guest engagement, the chatbot in our hotel management app will lighten the burden of managing all your hotel operations, just by a simple voice command. 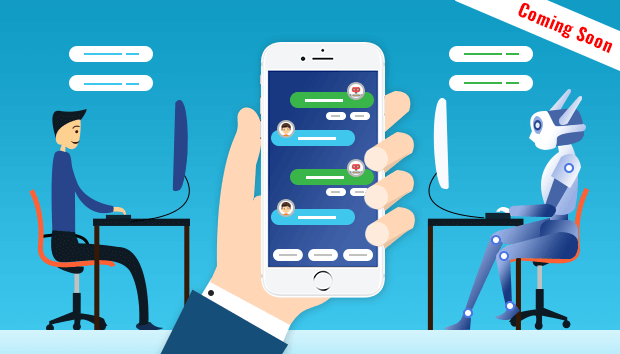 Right from check-in to room allocation to arrival lists to all the tasks which make your hotel management simpler; the chatbot in the hotel PMS app will work as a savior in disguise. We’re no longer teaching our people to communicate with the system. We’re teaching our system to communicate with the people. This is just a glance of the forthcoming intelligent technology to aid you with the best ways to manage your hotel and get more bookings. So, stay tuned to be in the know of the industry’s game-changer.